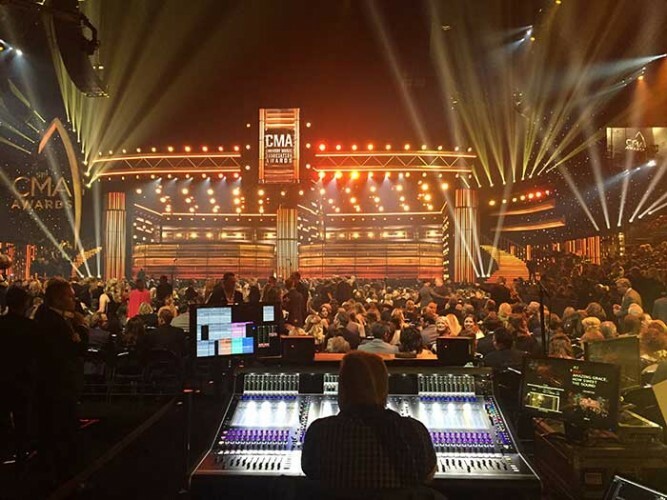 USA – The 51st Annual Country Music Association (CMA) Awards once again brought together the biggest names in country music for an evening of memorable performances. The three-hour telecast found 14.3 million viewers tuning in to listen to their favourite artists, while watching award presentations of country music’s highest honours. Sennheiser microphones and wireless systems were present throughout the broadcast, which turned out to be ABC’s most highly viewed Wednesday night program in three years. Carrie Underwood and Brad Paisley hosted the evening, both speaking and singing through a Sennheiser SKM 5200 handheld transmitter and MD 5235 capsule combination, all running through a Sennheiser 3732-II receiver. Underwood also received a nomination for Female Vocalist of the Year. 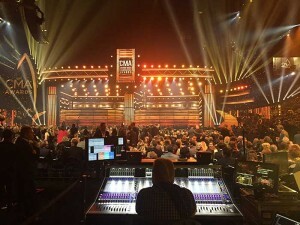 The 51st CMA Awards drew an audience of 14.3 million viewers, who saw Lady Antebellum and P!NK perform with Digital 6000/Digital 9000 combos. Reba McEntire then joined Best New Artist nominee Kelsea Ballerini for a performance of Ballerini’s hit ‘Legends’. McEntire, who also received a nomination for Female Vocalist of the Year, performed through a Sennheiser SKM 5200 handheld transmitter and Neumann KK 105 capsule combination, flawlessly transmitted through a Sennheiser EM 3732-II receiver. The result was a crystal-clear vocal sound that preserved the emotional intensity of Ballerini's powerful ballad.